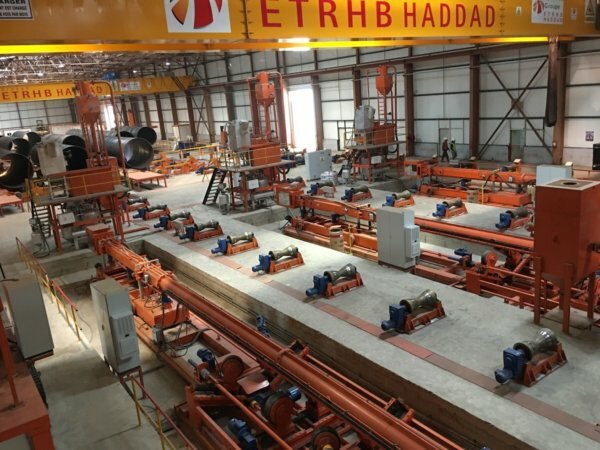 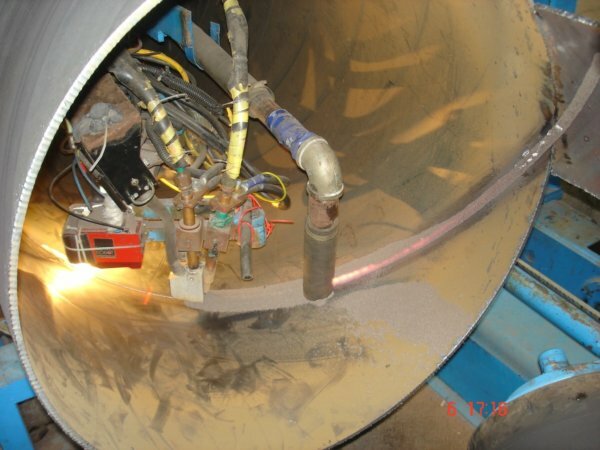 Submerged Arc Welding Station, where the tack-welded pipe seam is permanently welded using the multi-wire submerged-arc welding process. 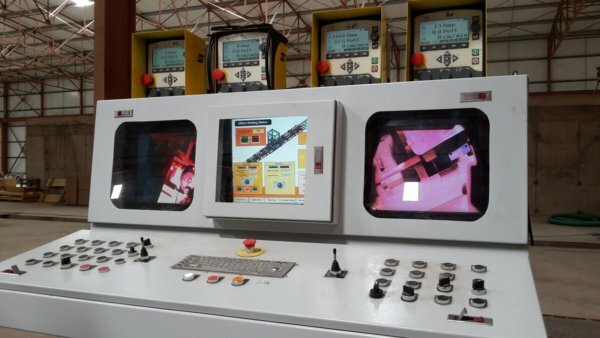 This Submerges Arc Welding Station has been developed with the implementation of modern process technologies such as Laser Seam Tracking system. 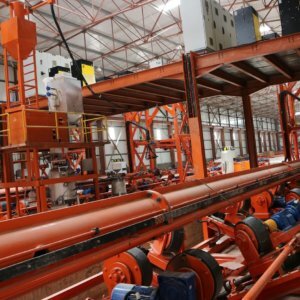 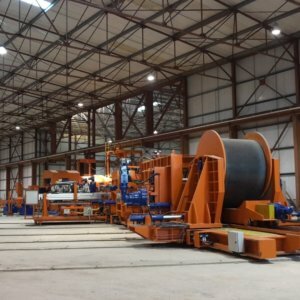 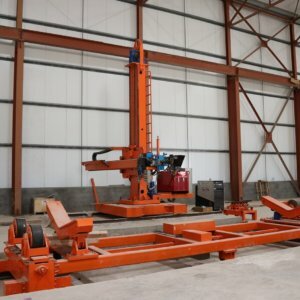 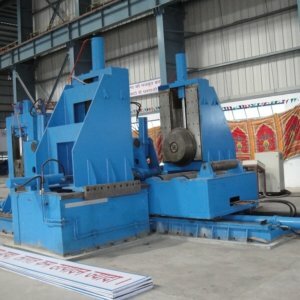 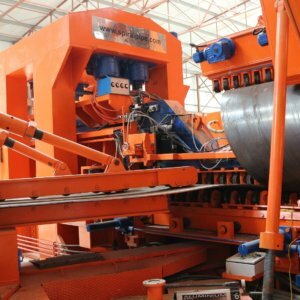 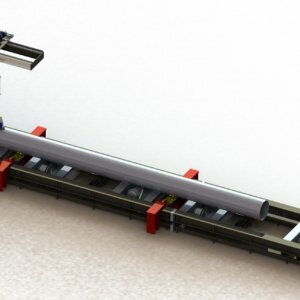 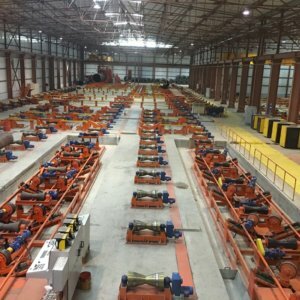 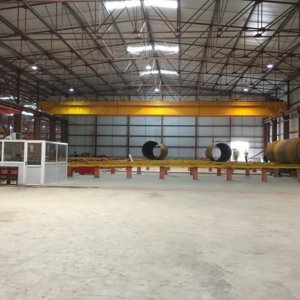 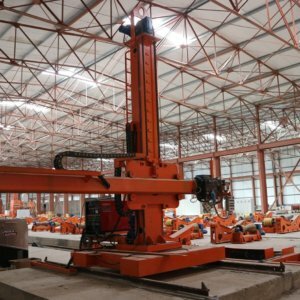 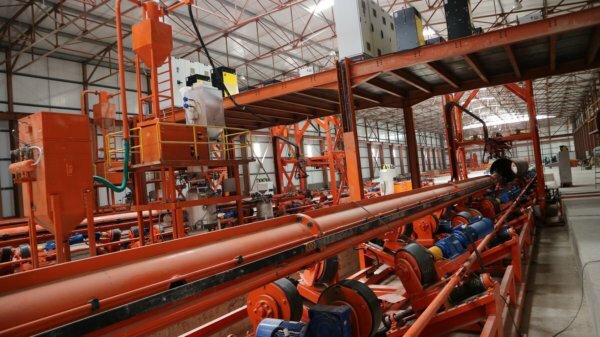 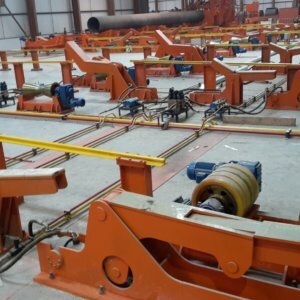 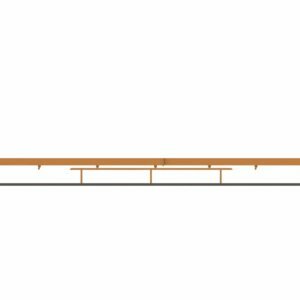 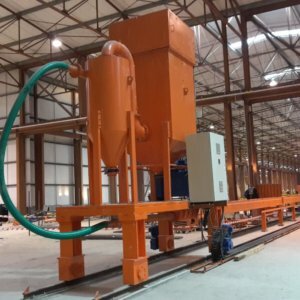 For offline spiral production speed, three sets of offline sub-merge arc welding station are required to service the Off Line Spiral Mill to reach a production of 200,000 Ton/yr (Subject to the perimeter of pipes sizes). 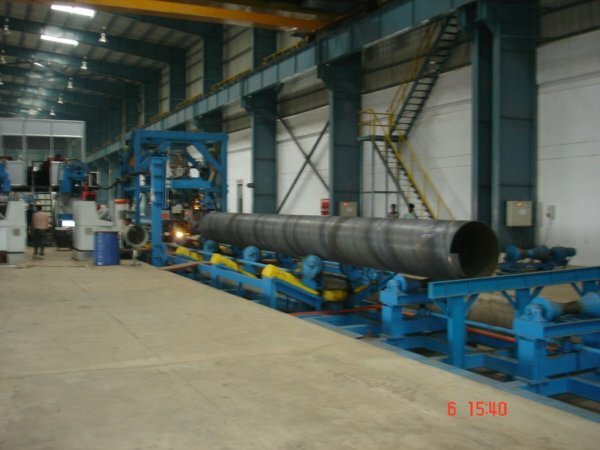 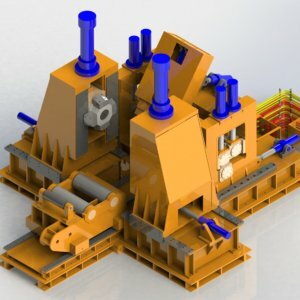 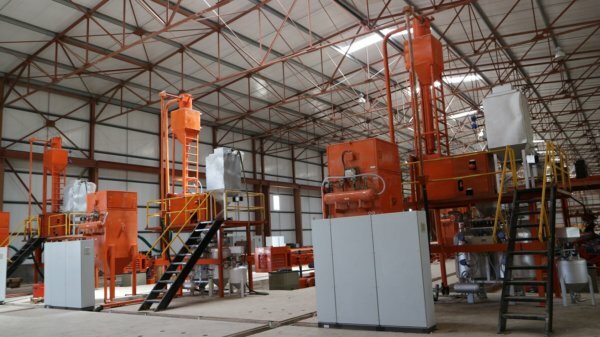 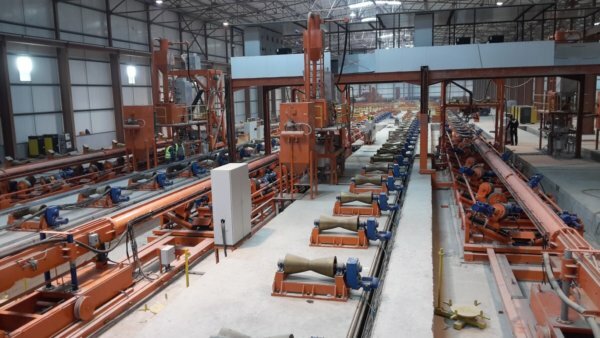 This mill is capable of pipe ranging from 609.6mm dia. 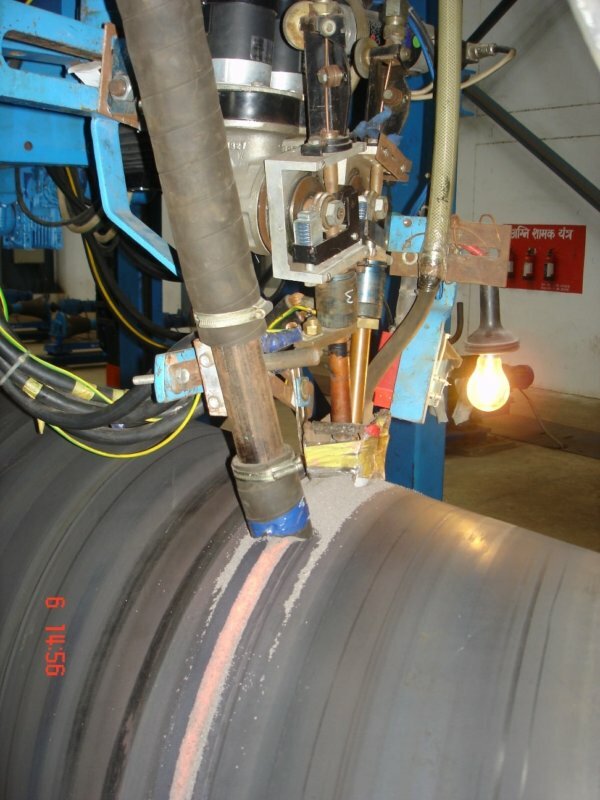 (24”) min up to 2,540mm dia. 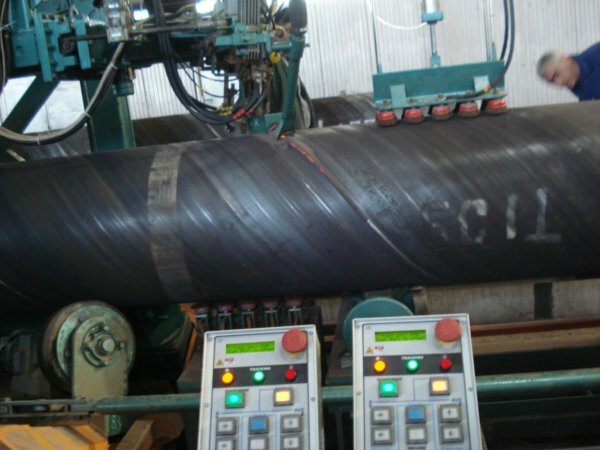 (100”) max and in wall thickness from 6.0mm(7/32”) up to 25.4mm(1”), in steel grades up to API 5L Grade.